Summary. In 2008, after a court judged the Government’s formal eviction notice illegal, Zimbabwe government supporters took the law into their own hands and destroyed the farm estate of white farmers Ben Freeth and his father-in-law, Mike Campbell. Freeth and Campbell and their wives were abducted and beaten; their homes, as well as the homes of hundreds of their employees, were burned to the ground, and they were forced out. Campbell later died from his wounds. Freeth subsequently founded the Mike Campbell Foundation to restore justice, law, and human rights in Zimbabwe. Freeth has been arrested and beaten since then, but he continues to organize campaigns in order to prevent more usurpation of lands without compensation. 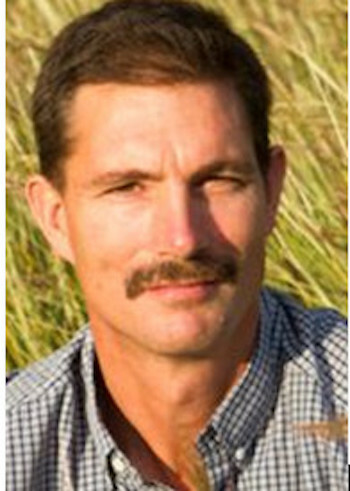 Profile: Ben Freeth is a white Zimbabwean farmer and human rights activist, fighting the Mugabe government for taking away white farmers’ lands without compensation. In 2008, the farming estate of Freeth and his father-in-law, Mike Campbell, was destroyed by supporters of the government; these invasions of white-owned farms began in 2000 and had not diminished. The Freeth-Campbell farm was impressive: It was the largest producer of mangos in Zimbabwe, along with maize, tobacco, and sunflowers, and it employed more than 500 Zimbabweans. Freeth’s wife, Laura, ran a linen factory on the estate, and that also employed Zimbabweans. In 2001, however, the government issued them an eviction notice, part of a “land reform” program. The ostensible goal of the program was to redistribute white-owned land to disadvantaged Zimbabweans, but many of the farms were given instead to Mugabe officials and supporters. Freeth and Campbell fought the eviction in the court of the Southern African Development Community (SADC). The court eventually found in favor of Freeth and Campbell, but the Mugabe government ignored the ruling and withdrew from the SADC. In 2009, the estate was invaded by Mugabe supporters. Freeth and his wife Laura, and Campbell and his wife Angela were kidnapped and beaten. Their homes were burned to the ground, along with the homes of their employees and their families. Everyone was driven out. Two years later, Campbell died from his injuries. Freeth subsequently founded the Mike Campbell Foundation (MCF —www.mikecampbellfoundation.com). The focus of MCF is on restoring justice, law, and human rights in Zimbabwe. The organization also works closely with Foundations for Farming, which advocates for conservation agriculture. Freeth speaks to both national and international audiences and leads frequent campaigns for land-owner justice.